Exclusive! She's only going to say this once! 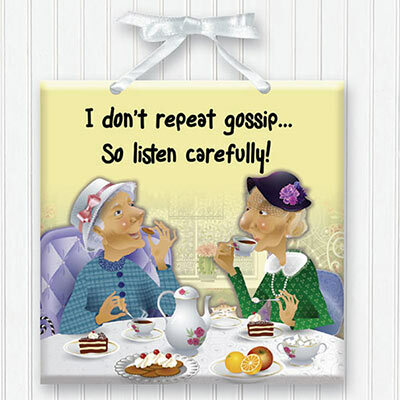 Whimsical ceramic Gossip Plaque with polyester satin ribbon bow accent for hanging. Imported. 6" sq.